Recruiting Veterans for Veterans Got Talent Event at Auburn Theater on 11/4 @ 7 p.m. The Mission Continues is hosting a Vets Got Talent event in Auburn Washington on November 4th with Mayor Nancy Backus as a Celebrity Judge! Please spread the word that we are on a talent search. We are looking for Veterans who have stage skills of any sort (except fire breathing or dancing, the venue doesn’t support that) so let your Veterans know to sign up here! Bring out the dance shoes and warm up the pipes! And be sure to come on down for some Reverence and Revelry on November 4th at 7 p.m. at the Auburn Ave. Theater 10 Auburn Ave, Auburn, WA 98002. The admission is free. There will be celebrity judges and the winner of the contest will ride as an honoree in THE largest Veterans Day parade in the state on it’s 50th Anniversary! There will be other prizes for the runners up. To cleanup, build, paint, and landscape at your West Seattle Veterans Center which is home to American Legion Post #160. Legion volunteers have struggled for a few years to finish this remodel. With a generous donation from the West Seattle YMCA, Post #160 needs your help to finish the basement and paint the exterior for its 2nd Phase to be complete. 3rd Phase will be tackling the west wing of the building and turning it into an office space were veteran non-profits can set up shop and improve the lives of veterans, their families and the City of Seattle. We need you to help make this happen. Come to work, meet new people and make a difference. It’s time to Report for Duty in your community! Long Pants: Jeans or Carharts something you don’t mind getting dirty. Street parking around the area. This is Phase 1 of Post 2713’s building makeover. The focus will be on Painting the interior and exterior, cleanup around and inside the building, and brush removal around the parking area. We will be doing this in partnership with the Hall’s current monthly occupants: Celtic Arts NW, Serenity Now AA, Fit4Mom and the Underground Theater. The VFW is wishes to make the space more appealing to the community but they can’t do it without your help. Come to work, meet new people and make a difference. 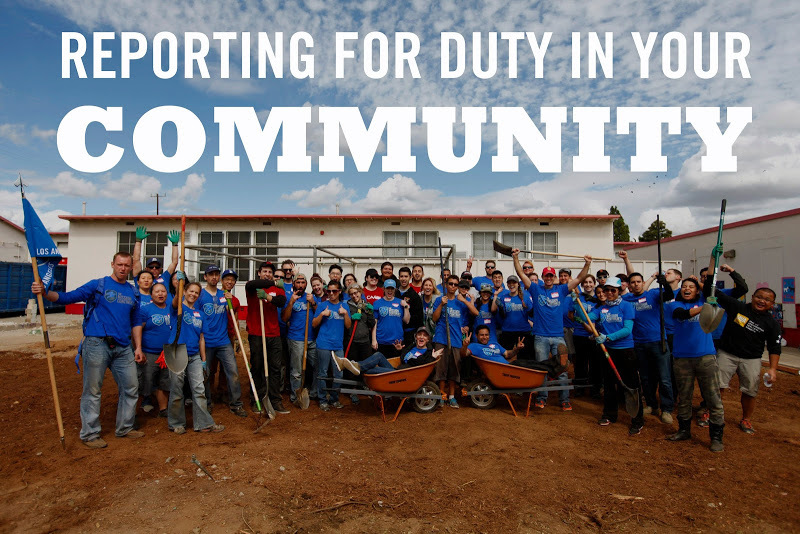 It’s time to Report for Duty in your community! Join us while we watch the game and have friendly conversation with our friends at VFW Post 1263. Food and Non-Alcoholic Drinks will be provided. You must purchase your own alcoholic drinks. See you there. Go Hawks!!! Mission Continues: Seattle 1st Service Platoon Wants You… to play mini golf with us. Join Seattle 1st Platoon for an evening of appetizers, networking and mini golf with fellow veterans at Interbay Golf Course. This is your chance to learn about your new platoon and collaborate on the platoon’s mission. This is our first social event and the beginning of what the Seattle 1st Platoon can do for Seattle.